Retail will wrap around the proposed tower’s base at Second and Race Street (Courtesy Peter Gluck and Partners). 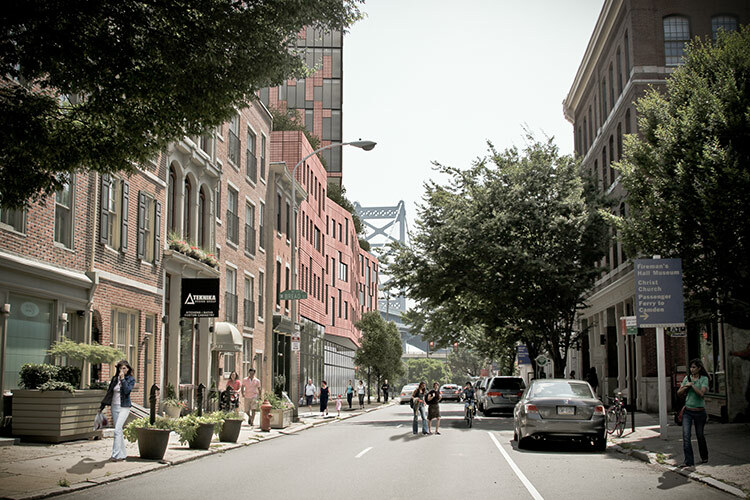 Last week Philadelphia’s new zoning code went into effect, but projects nurtured under the old code may still be rising. 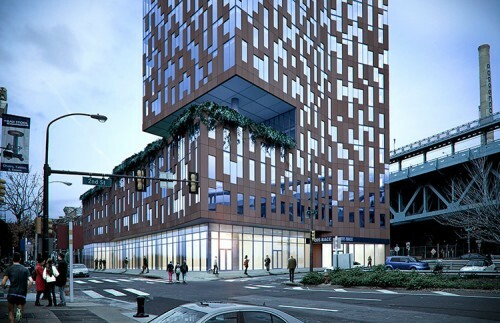 Just yesterday, architect Peter Gluck presented a tower proposal to the Old City Civic Association for a 16-story building adjacent to the Ben Franklin Bridge. Because the zoning permits were filed last month the building is subject to old code. Gluck’s presentation of 205 Race Street soured when new renderings revealed that an early proposal by SHoP Architects, initially approved at a 100-foot height, had morphed into a 197-foot tower that sets back from Race Street, PlanPhilly reported. The group voted 11 to 1 to oppose the project. Gluck would not comment on curtain wall materials or engineering while the building is in the midst of the permitting process. But he did say that the taller height was a shift in massing intended to respond to the neighborhood context, adding that volume remains much the same. The initially approved building was 100 feet high all the way around its perimeter. 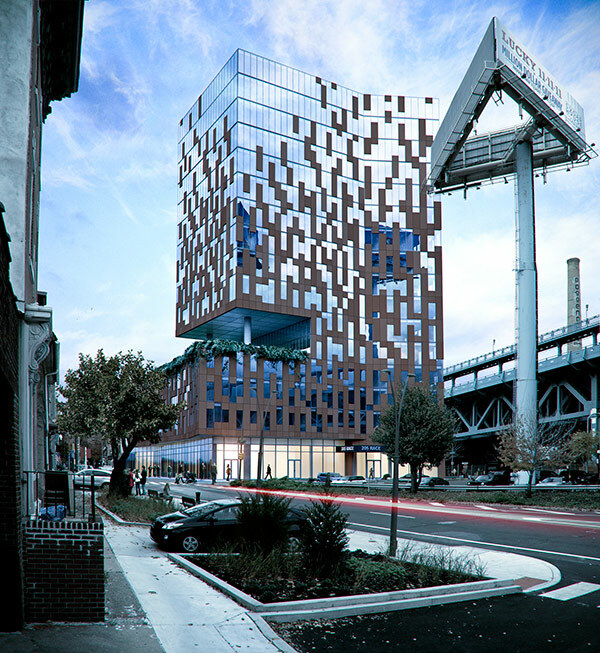 The architect said the new design creates a lower parapet at 56 feet along Race Street, before setting back 14 feet and allowing the 197-foot high tower to rise. The setback would make way for a green roof and a two-story cutout into tower along the Race Street side. The design’s new Race Street height is intended to offer clear views of the bridge, while emphasizing the corridor leading to the recently completed Race Street Pier. The tower is intended to respond to the height of the bridge, though detractors point out that the new code addresses nearby building height and not the bridge.